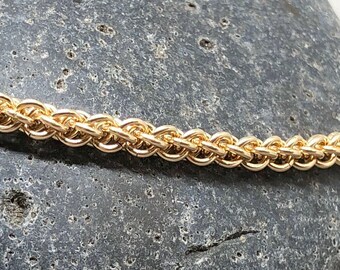 This 14K yellow gold filled bracelet makes a real statement on your wrist. 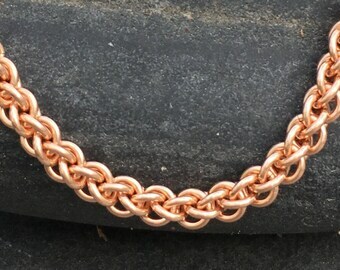 At 1.5 ounces, this is not a lightweight bracelet, but it is one that will catch everyone's eye. Perfect for that special occasion or to dress up a little black dress. 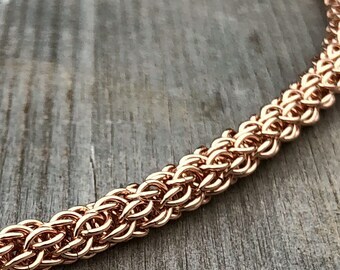 Yet also comfortable with a casual outfit. 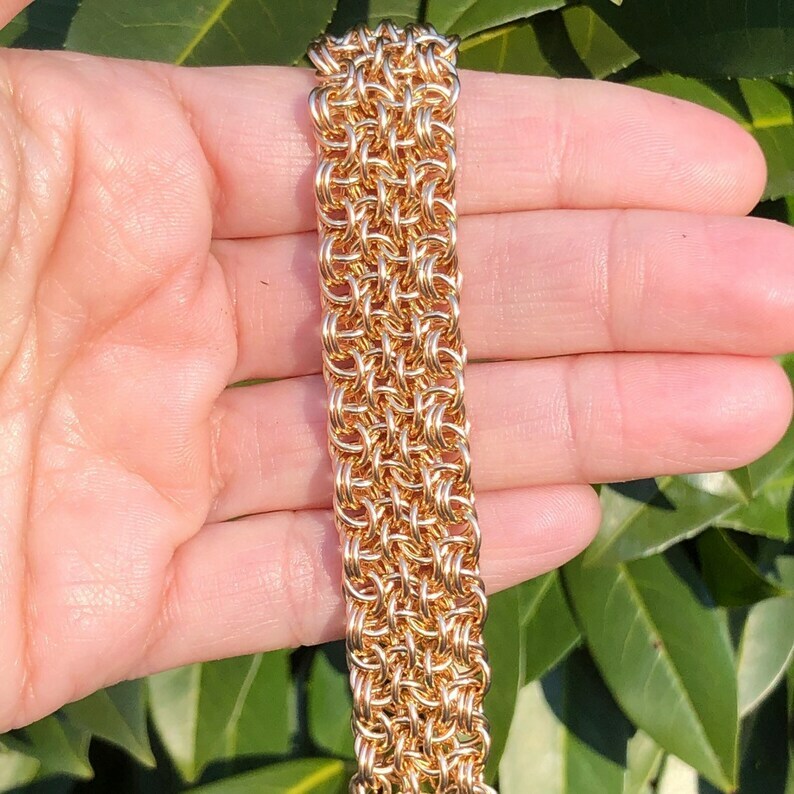 This bracelet is perfect for gift giving as it is adjustable and will fit wrist sizes between 6.5 and 8 inches. 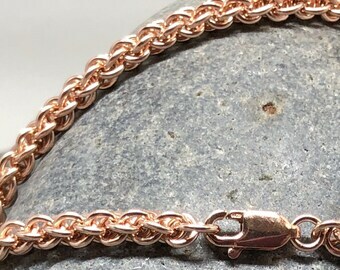 It is 5/8 inch wide and is finished with a 14K gold filled lobster clasp. 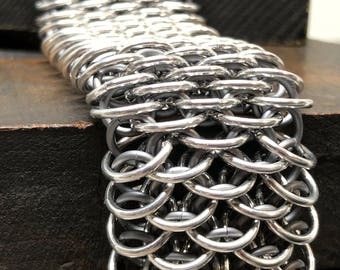 Creating chainmaille is an art that requires precision, skill and boundless patience. 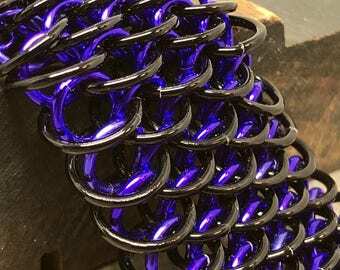 Each ring is woven individually in a process that takes several hours to complete. 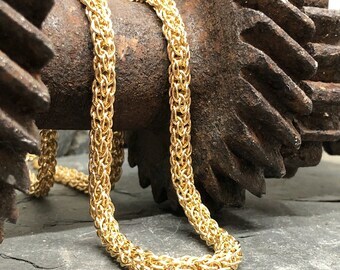 I chose 14/20 gold filled wire for this necklace for its added strength and ability to hold up to daily wear. 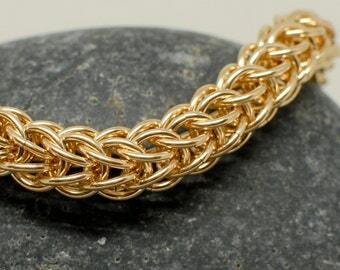 Gold filled is not the same as gold plated and it will last a lifetime with proper care. 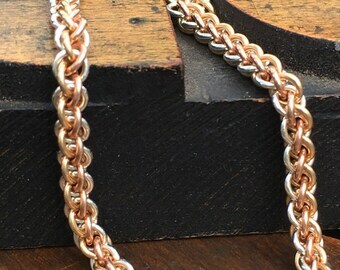 This necklace will arrive in a custom tin, suitable for gift giving. 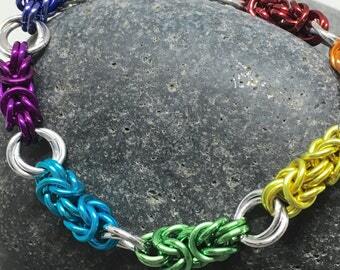 Please ask if you would like me to include a complimentary gift card.